Two North Harbour centre representatives, Orewa’s Wendy Jensen and Selina Goddard, a member of the Belmont Park club, have won meaningful recognition for their performances at the recent national bowls championships. Both have been recalled to the nine-women national high performance squad with Jensen in particular returning to the game’s elite group after a lengthy absence. Goddard played at the nationals for her Auckland club, Carlton-Cornwall, but as a North Shore resident who uses Belmont as her training base, qualifies to play for the Harbour centre. A Commonwealth Games representative in 2014, she excelled in the singles at the nationals held over the New Year period on Auckland and Harbour greens, narrowly losing the singles final 21-20 to Waikato’s Debbie White. Jensen, who impressed national judges with her consistency with her first two bowls, also achieved a notable scalp in making the singles last eight. She was also in the last eight of the pairs with Takapuna’s Anne Dorreen and is now seen as a possible lead in pairs and front end player in fours in a Black Jack team. 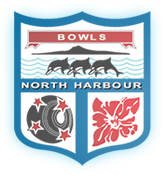 Other Harbour bowlers who have won national recognition include two men’s players , Daryl Read and Tony Grantham, who have been named in the national talent development squad. Read, a Navy service-man who is a member of both the Belmont and Takapuna clubs, also did well at the nationals, making post-section play in singles and pairs and in the first round of singles section qualifying play upsetting current world champion Shannon McIlroy. Besides Jensen, Goddard and Read, many other Harbour bowlers performed with distinction at the nationals. Harbour chairman and mainstay of selection and coaching policies, Graham Dorreen, believes it is arguably the best a cross-section of the centre’s bowlers has done in the nationals. This, he said, reflected favourably on the competitive structures which have been put in place in recent years. Dorreen himself has won acclaim at national level, being recently appointed one of Bowls New Zealand’s high-performance coaches.